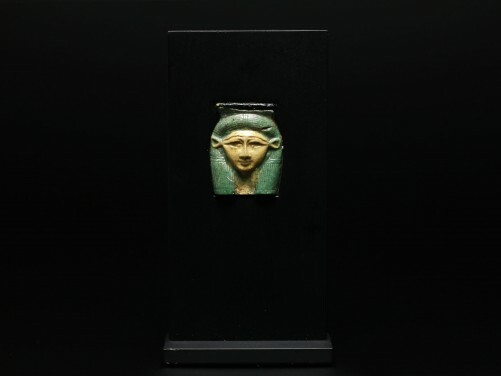 Of two-tone opaque green and yellow glass, depicting the central adornment from a sistrum, portraying the goddess Hathor in her typical appearance, with cowry ears and lappet wig, with flattened-top for the now missing naos shrine. 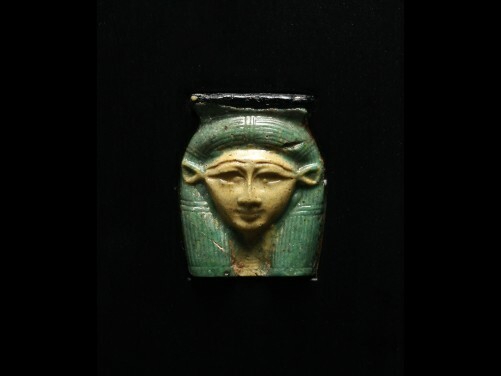 Hathor was the goddess of music, who personified the principles of joy, beauty, love, and motherhood. Her well preserved temple at Dendera is filled with monumental column-shaped sistrums, a musical rattle, which embodies her connection to music. 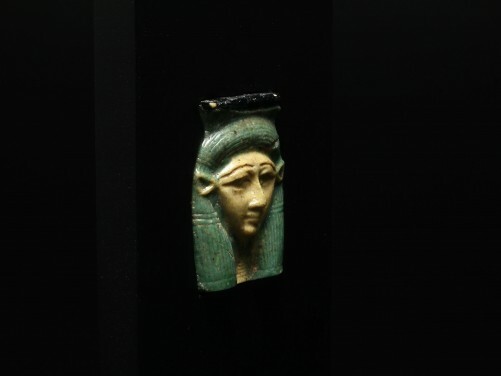 Hathor was admired throughout ancient Egypt, associated by a variety of depictions and roles. with David Liebert, New York, 1980s. ex. New Jersey Collection, 1990s. Accompanied by Art Loss Certificate no. S00132600. 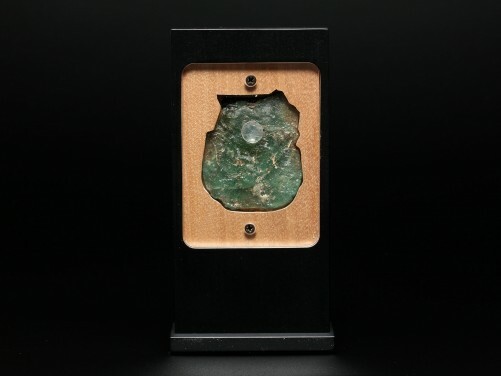 Fragment as shown, face intact, surface mark on right lappet and above left brow, flattened top with added layer in black glass, some wear common with age, overall a rare and very fine example. Gott and Gotter im Alten Agypten, no. 91, for a parallel.